Gaspar Lorenzini was the most important maker in Piacenza after G. B. Guadagnini with whom he most likely studied. According to church records Lorenzini was documented as a violin maker for over 60 years. This certainly has raises the question as to where his instruments have gone. 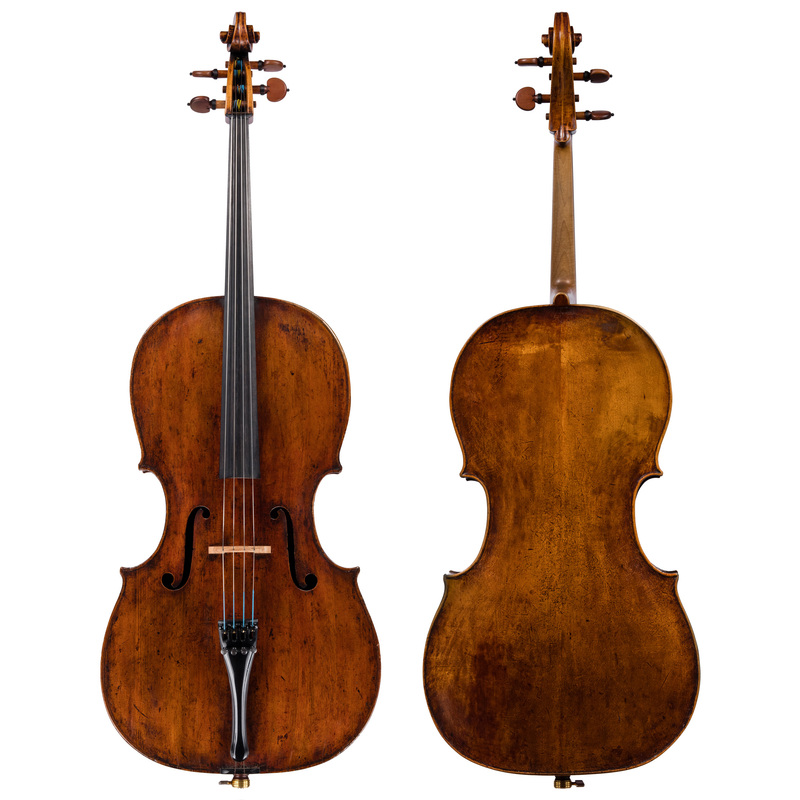 This rare cello by Gaspar Lorenzini was sold by the Wurlitzer company in 1969 to the 15-year-old cellist Lawrence Foster. By this time, Foster had already soloed with the Chicago Symphony and Philadelphia Orchestra, and appeared with Leonard Bernstein and the New York Philharmonic in one of the “Young People’s Concerts”. His future seemed guaranteed as he was considered by many to be on the level of Yo-Yo Ma and Lynn Harrell, fellow students of Leonard Rose. Tragically Foster’s career was cut short when he was shot and killed by a car thief in 1980. The cello remained in the possession of Foster’s mother until 1990 when it was acquired by Bein & Fushi and sold to another former Rose student. He kept it for only a few years, selling it privately to a benefactor in Boston. The current owner, who purchased the cello 20 years ago, had as a young boy been the only student of Lawrence Foster.